placed back in its position. Three apparent teenagers (I say apparent because one has been caught who was a teen but I’m not sure the other two were) loaded the saucer into their pick-up truck and drove away. Today we learn that the saucer has been destroyed. Pieces of the Roswell saucer wreckage were recovered by the side of a road (and yes, I wrote that line that way on purpose because I could say that “pieces of the Roswell saucer wreckage had been recovered.”) I don’t know what would inspire someone to do something like that. It isn’t actually a harmless prank when you destroy the object. Had they returned it intact, or told those at the museum where to recover it, then it is relatively harmless. To destroy it changes the act. The mystery, however, has been solved and the juveniles, if not already caught, are not long away from that. The names are known. These sorts of things sadden me whether it is tipping over gravestones (which is sort of harmless if they can be placed back with ease) or the defacing of a national monument because your ideology happens to differ from that of those who erected it, or just smashing mailboxes because you can. No real reason for it. Taking the saucer is sort of funny but only if returned undamaged. To destroy it makes no sense but then there is a great deal to the Roswell case that makes no sense. Since this point comes up periodically, I thought it time to deal with it. There are those who suggest that there was nothing about a crash mentioned in the 1947 newspapers and other documentation. The claim is that no one was really talking about a crash until Stan Friedman and Bill Moore put the idea into the heads of the witnesses with their leading questions and their enthusiasm for the crashed saucer tales. To refute this idea, we need to look at the rather sparse history of tales of the Roswell crash. Oh, and we’ll overlook the tales of the Aztec crash here, though it can be argued that this story, which began appearing in 1948 and was published in Behind the Flying Saucers in 1950 prove that talk of spacecraft crashes in New Mexico predated the Roswell revelations by Jesse Marcel, Sr., in 1978. Even Time got into the act with a story about recovered alien bodies in 1950, but the source of that was the reports by Frank Scully and of Aztec. The Hottel memo to the FBI about flying saucer crashes in that same era suggests that the story was widespread, but we’ll just ignore that to explore Roswell. During that same time in New Mexico, a woman with a responsible position at a radio station received a call from the station manager. He had been out checking reports of a UFO which had crashed in a field and was trying to track down the rumor that pieces of the object were supposedly stored in a local barn. In his excited call to the newsroom, the station manager verified the UFO crash report, and also claimed he had seen metallic pieces of the UFO being carried into a waiting Air Force plane which was destined for Wright-Patterson Air Force Base. Okay, there is a lot wrong here because the information you might really want to see, rather than this unattributed tale, are names, dates and locations. Without that there isn’t much of value. But then investigation in other arenas have lead back to this and we all now know that the woman was Lydia Sleppy, she worked for Merle Tucker at his fledgling New Mexico radio network and she was talking about the Roswell crash. The reporter talking to Sleppy was Johnny McBoyle who, when I talked to him so much later, sort of confirmed the story for me. Before the skeptics rush to point all this out, Sleppy’s order to not transmit mentions nothing about the FBI though when I talked to her, she said the FBI had ordered her to stop typing… and yes, we can all discuss the foibles of human memory again, or we can just look at the point being made here which is that this story pre-dates Marcel’s revelations by four years and she certainly wasn’t influenced by all that discussion. She interjected the crashed UFO into the tale without prompting by anyone. There are such difficult cases as the rancher near Roswell, New Mexico, who phoned the Sheriff that a blazing disc-shaped object had passed over his house at low altitude and had crashed and burned on a hillside within view of the house. The sheriff called the military; the military came on the double quick. Newsmen were not permitted in the area. A week later, however, the government released a photograph of a service man holding up a box kite with an aluminum disc about the size of a large pie plate dangling from the bottom of the kite. This, the official report explained, was a device borne aloft on the kite and used to test radar gear by bouncing signals off the pie plate. And this, we were told, was the sort of thing that had so excited the rancher. We were NOT [emphasis in original] told, however, how the alleged kite caught fire – nor why the military cordoned off the area while they inspected the wreckage of a burned-out kite with a non-inflammable pie plate tied to it. 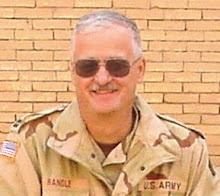 that the rancher was Mack Brazel, he didn’t telephone the sheriff but went to visit him, he couldn’t see the flaming wreckage from the house and in fact, there is no mention of a flaming disk at all in any of the accounts or by Bill Brazel. But the basics are here. While the story doesn’t use the word “crash” it does say “wreckage” and that implies a crash of some kind. It trots out the official explanation which, in fact, explains nothing. But the point is that there is talk of wreckage which certainly puts the idea of a crash in the minds of those who might have read it back there in 1947. For those who believe that the officers at Roswell wouldn’t be reading the Oregon Journal, that article was from the United Press which means it was a wire service story. Looking further I found the same line in the Phoenix Gazette. If Phoenix isn’t close enough, the same story ran in the Albuquerque Tribune. That is a newspaper that could easily have been seen by some at Roswell. This, I believe, eliminates the theory that the idea of a crash was somehow created after Jesse Marcel had talked to researchers in 1978. The idea was in play in 1947 unless someone wishes to dispute the idea that wreckage suggests a crash. I have been able to provide documentation for that idea that precedes Marcel’s statements to Friedman and Stringfield and that the documentation extends back to 1947. This doesn’t prove that what fell and was recovered was a spaceship but it does prove that the idea that something crashed had been in play from the very beginning. Yesterday (March 24) I accidentally caught Hillary Clinton on Jimmy Kimmel Live and normally I would have turned it off at that point but she had said something about Area 51 and UFOs. She was talking about how she would delve into the UFO question to get answers that she believed that we all deserved (as long as it didn’t violate national security). Her husband, Bill, had apparently tried that and got nowhere because had he gotten the answers, there would be no reason for Hillary to explore it further. It also suggests that the answers given to Bill were inadequate and suggest there is something more to it. An Unidentified Aerial Phenomena, UAP, is the visual stimulus that provokes a sighting report of an object or light seen in the sky, the appearance and/or flight dynamics of which do not suggest a logical, conventional flying object and which remains unidentified after close scrutiny of all available evidence by persons who are technically capable of making both a technical identification as well as a common sense identification, if one is possible. Lee Speigel has regularly used the term in his columns in The Huffington Post since 2011. Just check it out and see, if not in the headlines, is certainly in the labels at the end of the articles. There’s really not much of a point here other than to suggest that UFOs, or UAPs, are so unimportant in the mainstream that someone who appears interested in them does not know the actual history. It’s not so much an indictment of Hillary as it is in the level of interest outside the small UFO community. Once in a while something here makes national news but most of the time it is a “fluff” piece that doesn’t advance the search for answers. And the problem here is that a Clinton already, supposedly, looked into this and was either told there was nothing to it, or given information that suggested there was something important to it… Given Hillary’s response, I would suggest it was the former because if it was the latter Bill wouldn’t be quite so flip about it when he’s asked and Hillary wouldn’t be talking about it on national television now. In the last few weeks I have been asked a couple of times about which UFO cases I believe have credibility. I have avoided these sorts of questions in the past because I know the pitfalls of providing a list like that. Debunkers (as opposed to skeptics) will then attempt to explain those cases in the mundane with little regard to the facts. A good example of that was Philip Klass’ explanation of the Coyne helicopter case as a meteor and ignoring the testimony of the pilots and crewmen. Rather than learn the procedures used by Army helicopter pilots, he talked to some unidentified guy who had flight time in helicopters never telling us if that flight time was at the controls or riding in the back. Ignoring that, and my own trepidation, I will note that the best of the cases will have multiple chains of evidence, including multiple witnesses, interaction with the environment, measurements by instrumentality such as radar, landing traces, and photographs. You would think that after seventy years or so we’d have just such a case. Although we don’t there are a few that meet some of these requirements and one of the best is that from Levelland, Texas, in November 1957.
sources, there were witnesses at thirteen separate locations who reported engines that stalled, lights that dimmed and radios that filled with static. 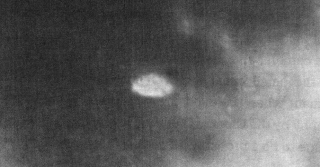 The Air Force claimed in press releases that only three people had seen the object, though they would eventually claim six observers, and to them, if they hadn’t interviewed the witnesses, they didn’t exist. Donald Keyhoe claimed nine but his estimate, as we now know, was low. 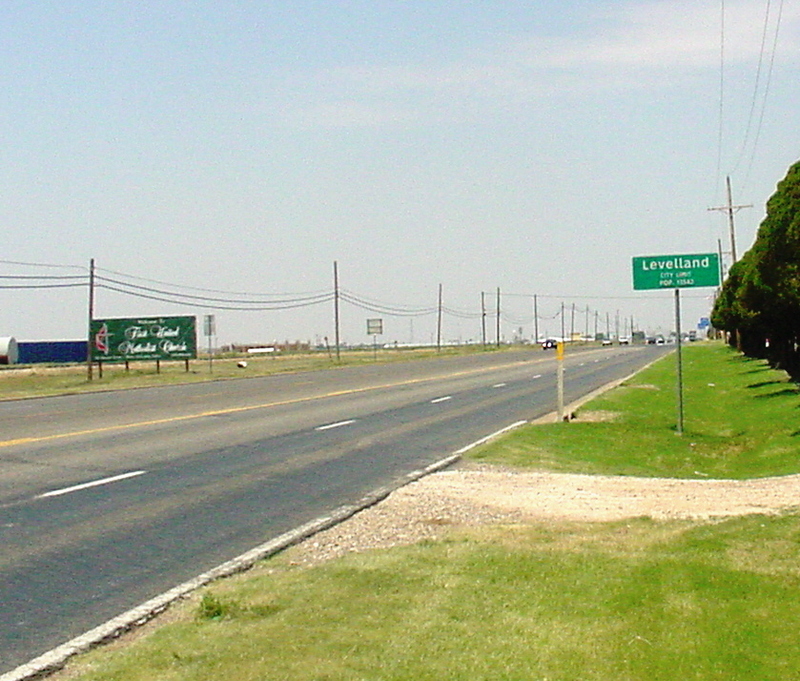 The number of witnesses around Levelland would fulfill one part of that chains of evidence argument. We can say that we have multiple, independent witnesses. Given the circumstances, most of them were unaware that others have made reports. They called the Levelland Sheriff’s Office to report what they had just seen. A few, after hearing the news reports the next day, called to say they had seen the same thing. These witnesses also reported an interaction with the environment which, of course, is their stalled engines, dimmed lights and static filled radios. The witnesses at each of those thirteen locations reported the same things, though not necessarily all of them. Although this information is based on witness testimony it is fairly consistent among them and it suggests an interaction with the environment. 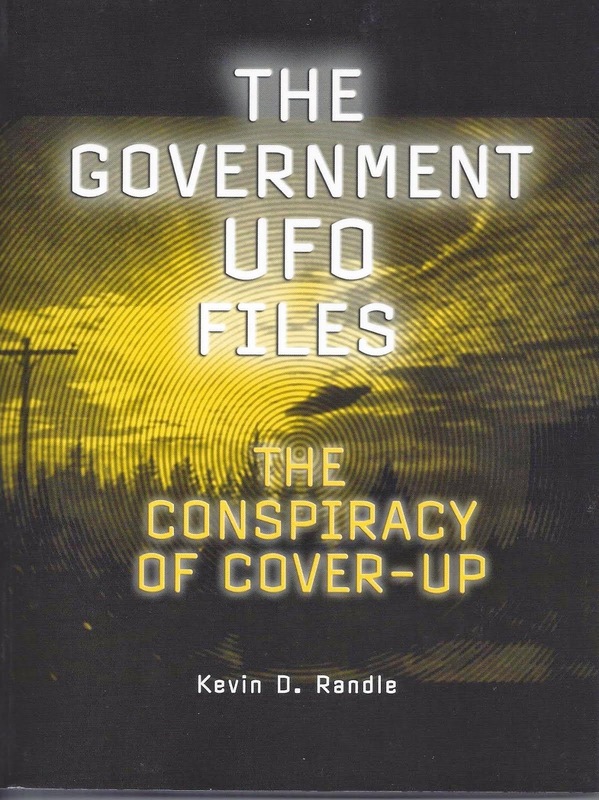 The Condon Committee study a decade later didn’t bother to research this case other than talk to a businessman who claimed his car had been stalled by a UFO in 1967 under somewhat similar circumstances. Although they did make an investigation of that report, they concluded that there were discrepancies in the witness’s statements, no evidence, according to them, of a strong magnetic field near the car based on their mapping of the magnetic points on the car, and because there were no other witnesses, there was no need to continue to investigate. Given what they said, I would be inclined to agree with their assessment of that particular case. However, they also suggested that because the Levelland case was ten years old and the cars involved were no longer available, they couldn’t conduct their magnetic mapping of those vehicles. They decided they weren’t going to follow up on it. Had anyone tried the magnetic mapping in 1957, that might have resulted in some interesting information that hadn’t been found at the time. It seemed that they used the results of their single investigation to reject the Levelland case and this is only place in their study (page 108 of the Bantam paperback) where it is mentioned… Or, in other words, a chance to gather some interesting scientific evidence in 1957 was lost because no one thought to attempt it and nothing new was learned by the Condon Committee because they thought the case too old so they didn’t bother. Had the magnetic mapping as suggested by those at the Condon Committee been done in 1957 that would have also, to a lesser extent, fulfilled the requirement for instrumentality. This would have provided some additional indirect evidence that something had happened at Levelland or maybe shown that there was no good evidence of a strong magnetic field which might also be important information. As I have mentioned in the past, there is a hint of a landing trace as well. Before the skeptics point it out, let me note that it comes not from Levelland sheriff Weir Clem, but members of his family and is a claim made nearly half a century after the fact. Family members said that a rancher north of Levelland had found a large burned area on his land. The sheriff had seen it, but then there are no reports from the time, no pictures of it, and no first-hand witnesses to it. If that indirect evidence had existed, it could have formed another chain of evidence if properly investigated, but then that just didn’t happen. And, of course, no photographs of the object have ever been found. In today’s world everyone who had experienced a sighting like this probably would have had a cell phone to take a picture. In 1957 most people, on routine business, didn’t carry a camera. Pictures, especially if taken from multiple locations, would be powerful evidence. The point here, however, is that I see Levelland as a very good case given the evidence that was collected. I also see it as a missed opportunity. If Keyhoe and the Air Force hadn’t been so busy arguing about the number of witnesses and what the effects of the close approach of the UFO might be, or that some of it was caused by a cracked rotor in a car, we might have learned something very important. It was certainly a missed opportunity and while there are hints of what else might have been collected, we simply can’t verify it as proof of alien visitation in today’s world. The following is an investigation by The 'X' Zone Radio/TV Show & REL-MAR McConnell Media Company into an alleged multiple UFO sighting in Hamilton, Ontario, Canada that was filmed on either Friday, February 19 2016 or Sunday, February 21, 2016. HAMILTON, Ontario - March 16, 2016 - What follows is the actual report and the 13 second video footage. Please note that the name of the person who filed the report was not included nor was the direct address of the alleged sighting and video recording, and our findings. On February 21, 2016 at around 5:50 PM I witnessed 3 UFO's hovering outside. The sighting happen in Hamilton, Ontario, Canada it was a very cloudy day, and the sun was setting at the west. I was in my bedroom about to turn on my PlayStation 4 that is located along my bedroom wall next to a large modern window with the blinds pulled up, As I turned on my PS4 I looked outside to see 3 bright objects in the sky hovering beside each other in a strange formation. At first I thought I was looking at airplanes/helicopters with their headlights turned on but their was no movement, after a few seconds maybe 6-9 seconds one UFO at the very top started blinking randomly, few seconds later the middle UFO disappeared and reappeared in the same exact spot it was in, I called my mom over who was in the kitchen to show her and she did not know what it could be... After a few more seconds 2 UFO's started blinking but very slowly and stopped, the 3rd UFO is slightly hard to see in the video the 3rd UFO is almost like transparent slightly visible, So I pulled out my IPad Air 2 and started recording. 3 seconds into the recording and the UFO's started disappearing one by one. After the UFO's disappeared into the clouds (which is what it looked like) I looked into the sky all around me inside my bedroom window to notice anything unusual and everything looked normal like always. I went back to review the video and noticed a 4th UFO along the right side above the tall middle tree, that 4th UFO must have appeared and disappeared at the same time the last UFO on the left side disappeared. I did not see the 4th UFO when I was recording the other 3 UFO's on the left side disappear on my IPad screen. I have no idea how high and how far away the UFO's were, possibly hovering 2-5K feet high... The UFO's looked VERY large. I did not hear any strange noises or any aircraft engines, Cars were driving on the road so perhaps that is why. The color of the UFO's was a yellow/orange almost like car lights. i. Local professional and amateur astronomers did not receive any reports or inquiries of this alleged multiple UFO sighting. k. The length of the video of 13 seconds is also a red flag. n. The report states 4 "UFOs" but in the video (13 seconds) there are only 2. 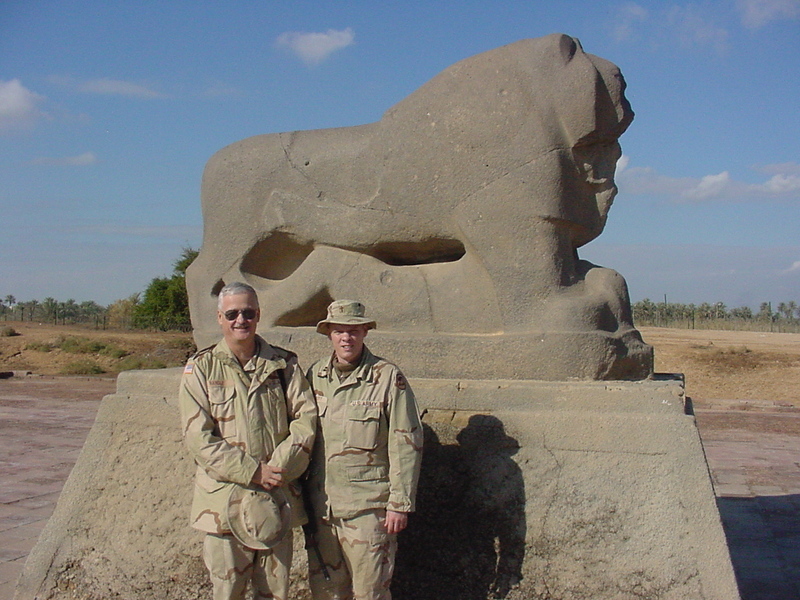 The investigators who worked on this cast include experienced law enforcement investigators, video and photo analysis experts, computer software manipulation analysis experts, members of the military and other professionals and experts who experience and expertise were an important part of our analysis team. Based on what we found throughout the course of investigation, we are classifying this alleged multiple UFO sighting a hoax. Since it has come up in some of the comments, and because there is a real interest in the Oak Island treasure hunt, I thought it might be time to revisit all of this. I first became interested in Oak Island in the mid-1960s (which I hesitate to mention since that dates me) when I bought John Godwin’s This Baffling World. It was a compilation of stories of the strange and the weird including the Bermuda Triangle and UFOs but also a section on Oak Island. Later I bought D’Arcy O’Connor’s The Big Dig. And, back in the days before the Internet, I would look up magazine articles using the old method of searching those big index books and then wandering the library stacks looking for the magazines. Today the Internet makes all that easier. But now, with The Curse of Oak Island having run through several seasons on History, I find more people interested in what happened there, or is happening there. Those who read this blog know that I have been less than thrilled with what the Lagina Brothers and their pals have discovered, which, when boiled down to its essence is virtually nothing. They managed to get to the bottom of Bore Hole 10X and found that it was not manmade but a natural formation. Hopes had been pinned on it containing all sorts of things for decades. These included the possibility of a body, a chest, and some sort of support beam all seen through the murky water using a vintage video camera. Many of these new accounts start the same way as the old. Nickell, in his March/April 2000 article in the Skeptical Inquirer, told us, again, that the story began in 1795 when Daniel McInnis (or McGinnis) claimed he had found some sort of an old tackle block in a tree overlooking a shallow depression in the ground. The next day, McInnis and two friends, Anthony Vaughan and Jack (John) Smith, returned to the island. Believing for some reason that pirate treasure was buried there (and given the account that these were teenagers, I guess you can believe their imaginations ran amok) they began to dig. Some two feet down the found a layer of flagstones and ten feet deeper, a layer of logs. He suggested that there is no historical evidence to back up this tale. He said that a search of the local newspapers of the time produced no stories about any of this and that McInnis, in 1795, wasn’t boy in his late teens but a man in his late thirties. He wasn’t a local originally, but had been born in South Carolina and apparently fled to Canada after the Revolutionary War because he had been on the wrong side. Eventually McInnis and his pals dug down deep enough, finding the wooden logs or planks every ten feet or so, but were eventually forced to give up. It does seem odd that they would have kept at it long enough to dig down thirty feet but according to the tale the earth was soft having been excavated at some earlier time (apparently when the pirates buried their treasure). Nothing else happened for eight or nine years, when they interested, or maybe a group of investors called the Onslow Company got interested, and began an effort to get the treasure believed to be in the pit. At the 95-foot level, they found a stone inscribed with odd symbols which they recovered. Their attempt to dig deeper was foiled at the that point. They had completed work for the day and when they returned in the morning there was sixty feet of water in the pit. They were unable to reduce the water level and abandoned their effort at that time. All this is interesting, but, according to Joltes, probably untrue. He wrote that he could find evidence of the three men in the history of the area at the turn of the nineteenth century, but that he found no documentation about Oak Island’s money pit until 1857. A traveler’s diary mentioned that he had visited the site and mentioned some debris. This would suggest some discussion about the money pit prior to that and in 1849, there was note signed giving permission to dig on Oak Island. Not exactly rock solid evidence of the 1795 story, or the Onslow Company’s attempt to get the treasure but certainly a hint of the legend. I find all that more than a little troubling. While I fell into the category of those other writers Joltes had warned about, that is, using the available sources which all claimed this saga began in 1795, I simply did not have access to the wealth of information available today. While I was forced to go to the library and the one at the University of Iowa is huge with magazines and newspaper files that go back to the eighteenth century, I couldn’t get into other archives around the country where some of this information was hidden. Joltes was able to do that and provided a fresh perspective on Oak Island. So, what have we learned about the beginning of the legend? Well, the initial story might not be accurate. There are no records that exist prior to 1849, and it was later that newspaper accounts began to tell the story of the 1795 find. They mention some of the evidence, such as the log platforms and that during drilling at the site in the 1840s, a bit of gold chain of three links and a tiny bit of parchment with two letters on it had been recovered. Unfortunately, these discoveries were not documented at the time though Dan Blankenship is suggested as the owner of the parchment. The gold links seem to be gone. That there is nothing about the money pit prior to that 1849 entry is worrisome. That this is no documentation to support the idea that there were log platforms in the pit is worrisome. That the layer of flag stones found a couple of feet below the surface of the ground is interesting until you learn that in 1975, working some 3000 feet north of the island there was a rock layer not unlike that allegedly found in 1795 (yes, I see that 1975 and 1795 are sort of the reverse of one another) covering a cavern below, suggesting the same kind of geological formation around the money pit rather than a layer of stone put there by the pirates. Nickell, among others, suggest that natural phenomena might account for the suggestion of the log platforms. He thought that wave action along the island might have deposited logs, covered them, and then did the same thing again and again. I’m not happy with that explanation and think that if the original legend is nothing more than legend, then the most likely explanation is that there were no log platforms. Again, no documentation exists to prove that there were these log platforms. You have to wonder what sort of pirate, or anyone else for that matter, would carve a stone and bury it above a treasure telling you how much deeper you must dig. Once the stone was found, wouldn’t that just inspire the finder of digging deeper… or maybe cause investors to shell out more cash because there is evidence that something valuable is buried. Joltes noted that there were “no sketches, descriptions, photograph, rubbings…” that are dated before the twentieth century. He noted that the 1893 prospectus contained nothing like that about the stone, but if it existed, it would be a wonderful tool to induce investors to provide financing. Joltes seems to suggest that the first time the symbols were published was in 1951. However you slice it, there is no good documentation for the symbols on the stone, and while many seem to have translated the inscription in the world today, there is no real evidence that the description of that inscription is accurate or that the symbols were actually on the stone. You might say that for me the final straw was the diver who made it to the bottom of Bore Hole 10X. Since Dan Blankenship made that video in the 1970s, it has been played and replayed, suggesting that something truly manmade was at the bottom of the hole. I didn’t know that he had found the drill site by using divining rods. However he determined the site, it seemed to produce results until the diver reached the bottom. It was a natural formation and there was no body, no chest and nothing to suggest it was anything other than a natural formation. Given all this, most of which is ignored by the treasure hunters on the History show, I would suggest the Lagina brothers scrap their plans for next summer. They’re wasting their money because if they are attempting to learn the true nature of the secret of Oak Island, I think we already have it. There is no treasure hidden there. It is a legend that seems to have been invented a couple of hundred years ago and kept alive by all those who have dug up the island. I understand the Lagina’s reluctance to give up on an adventure they have dreamed about for decades and there is History footing some of the bill, but they’re not going to find any treasure. Maybe just proving there is nothing at the bottom of the money pit except some broken dreams will, in the end, be enough for them but I wonder if it is worth the price. 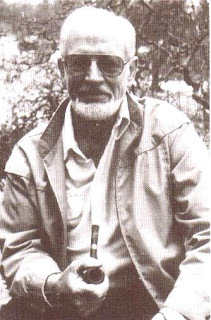 Over the years Walter Haut made many recorded statements about what he had done and seen in Roswell in July, 1947. For decades, all he had done, according to those statements, including many to me, was write the press release. He had taken that release to the various media outlets in Roswell… or he had called them and read the release to them over the telephone. He signed an affidavit to that effect and told the story to dozens of UFO researchers, reporters and documentary producers. Walter Haut on the set of "Roswell." On April 20, 1989, I talked to Haut briefly. I was asking about the events there in Roswell and he was answering with one word answers which weren’t rude, just brief. Telling me again of the event and how he hadn’t done all that much, he finally said, “I hate to be that way but…” meaning just falling back on his standard answers including that his only role was to write the press release. In May, 1993, he created and signed an affidavit saying basically the same thing. He had written the press release, and that was it. That was all he knew. That was his only involvement in the case. But then, in 2000, he began to hint that he had seen more. He told Wendy Connors and Dennis Balthaser that he had been heavily involved. He later signed an affidavit prepared by Don Schmitt suggesting he had seen the remains of the craft and he had seen one of the bodies, or maybe more of them, it all just depended on which statement you heard. He had kept the secret as he had promised back in 1947 and he didn’t want this new affidavit released until after his death, though he certainly hadn’t been overly quiet about these new claims. Here, now, was an affidavit by one of the officers allegedly included in the inside circle of the staff, signing a legal document that suggested he had seen alien beings. It was an extraordinary document if it could be believed. In the last couple of years, I have been looking through the files, documents, transcripts and newspaper clippings that I have collected over the years concerning the Roswell case. I have, literally, file cabinets filled with the information so that my review has not been as fast as it could have been. But this statement by Haut, made on film in 1979, is quite definitive. Haut was saying that Blanchard was not allowing him to see it. No flipping or flopping but a strong, positive statement that he stayed with for more than two decades. Compare that statement to those made in the interviews conducted after 2000, where he was saying that he had only written the press release and then saying he had seen a craft and the bodies. Or that he had seen one body and then back to the original idea that he had only written the press release. He would often contradict himself within a single paragraph and sometimes in a single sentence. Anyone seeing these confused interviews would be concerned about the clear and concise statements in that later affidavit. It is just too perfect given how those statements have been gathered after 2000. This one quote, “but that [I] couldn’t see it,” tells us a great deal and I would suggest that it tends to render that later affidavit as inaccurate at best. It would seem that it suggests we should reject the affidavit in light of what he had said for decades. I don’t know the motivation for his changing his mind about it. All I know is that I find the original statements, especially that about not being allowed to see “it” as much more persuasive than this affidavit cobbled together from what seem to be the ramblings of a witness more than half a century after the event. One statement was clear and concise and said many times and the other was something that came more than a half century after the fact and wasn’t all that clear . But then, it really comes down to what you wish to believe and which statements you trust the most. For me it is those given for so many years and not those that came so late in the game. A couple of days ago Rich Reynolds over at the UFO Conjectures blog put up a brief article that has something to do with Roswell. 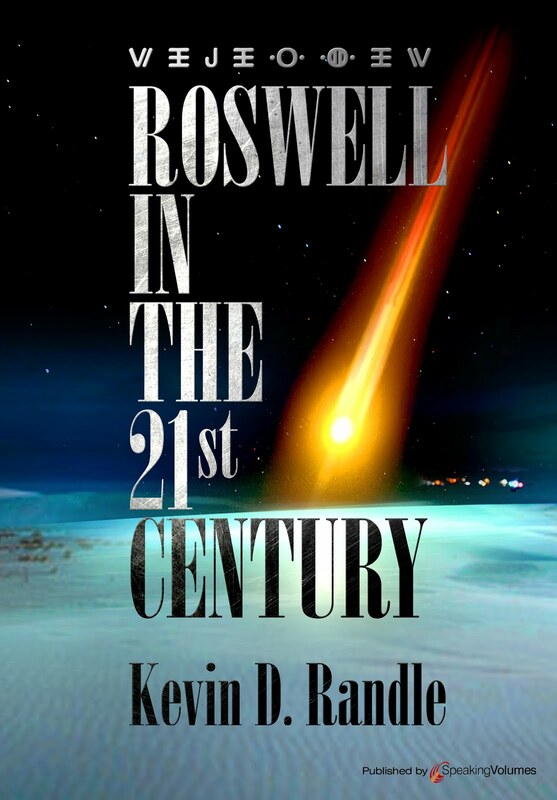 Apparently some of his readers took issue with his return to Roswell and made comment on it. Reynolds said that each mention of Roswell boosted the page views of the blog and he provided a screen shot to prove his point. There was a spike on it. And in the comments section, there was a post by Gilles Fernandez remarking that he had just posted to his website a rebuttal of one of Jaime Maussan’s expert’s latest comments on the Roswell Slides. I thought I would perform an experiment about this and because, as Gilles had mentioned, Jaime Maussan had released another “expert’s” opinion of the image on the Roswell Slides, this was a timely story. I believed that the issue had been settled about forty-eight hours after the Mexico City disaster and while some of those original participants in the slides fiasco were reluctant to let go, it was clear to the vast majority of people that the image was not an alien. To prove that it was, Maussan published another opinion on why it was alien. All this, I thought, would be a good target for the experiment. I posted a short article about the Roswell Slides and within minutes had the first response to it. There was an immediate spike in the page views, and oddly, a dip and then another spike and twelve hours later an even larger spike. Clearly the Roswell name brought in page views. Just add Roswell to the title and people came to see if there was anything new. All this really proved was that Reynolds’ observation was accurate and you can pull people to your blog by mentioning Roswell. That some still believe that the Roswell Slides show an alien gives you a feeling for the state of UFO research. That others attempt to hijack the Slides, dragging in other nutty ideas isn’t all that surprising either. In any case, the experiment revealed the high interest in Roswell and provides us with a clue as to how to drive traffic to a blog, if that is the only mission of a blog. Just stick Roswell in the title and they will come. Roswell Slides - Is This Still a Thing? There are some things that I believe have been resolved and then something happens and I realize that the issue isn’t dead. I believed that after the placard in front of the mummy had been “deblurred” by so many in so many locations that it proved that the Roswell Slides showed an unfortunate child who had died several hundred years ago (I still refuse to post more pictures… it seems to be disrespectful). I would have thought that when the documentation showing the excavation of that child, seen first as he was first uncovered and later on display in a museum, that any question would be put to rest. It was clear from other photographs that this was a museum setting and that museum had been identified. Given that, we could now say without fear of contradiction that this wasn’t an alien creature, but the body of a human child. Of course I have been proven wrong on this (meaning the issue there is contradiction). Apparently there are those who do not wish the issue resolved. They continue to make ridiculous statements such as it is an alien put on display but the placard was written to cover the actual identity of the alien. It was a test to see how the general population would react and this might have been some early attempt to gauge the panic that might ensue from such a revelation. This is nutty in the extreme because there are better ways to answer that question and the last thing the government would do is display something in plain sight, “The Purloined Letter” notwithstanding. Recently, in the last few weeks, we have been treated to another “expert’s” opinion on why the mummy is not a human, how those who suggest otherwise have not applied the proper science, that the mummy is bigger than claimed by the skeptics and the debunkers. Those who had examined the slide carefully are now able to state, apparently with no fear of opposition, that this is not a mummy and is an alien. I, of course, must ask, how can you make these precise scientific measurements from a slide… and is the actual slide available, or are these scientists working from scans of the slide… and if the actual slide has not been reviewed, then aren’t all these alleged scientific conclusions based on evidence that might have been manipulated? Is it not possible that the placard can actually be read on the slide but has been altered on the scans to obscure the truth? I believe that those making some of these pronouncements in the world today have not seen the original. I believe that they are seeing what they wish to see rather than what is actually there. And I believe that the documentation is overwhelming, proving that this is a mummy and not an alien. The point is that the evidence, gathered by skeptics (and on this I count myself among them), is ignored by a misapplied label. This debate ended about forty-eight hours after the “Great Reveal in Mexico City.” And it is the reason the science won’t look into anything connected to UFOs. It is because when a rational explanation is offered, it is ignored by those who have some sort of stake in keeping that particular aspect of the case alive. I can’t say that I blame them. We really shouldn’t be talking about this anymore. And before anyone asks how five aircraft can disappear at once, I will say that the did it on orders from the flight leader who said that when the first aircraft was down to ten gallons of fuel they would all ditch together. This, I hope is the last word on this non mystery. this was taken. Photo copyright by Kevin Randle. Without fear of having my comments taken out of context (well, not a whole lot of concern), I said, “It was all true.” I didn’t mention that we had to be careful of exposure to the sun. Even though Mars doesn’t receive as much sunlight as Earth, the problem is no Ozone layer to protect us from those dangerous UV rays. 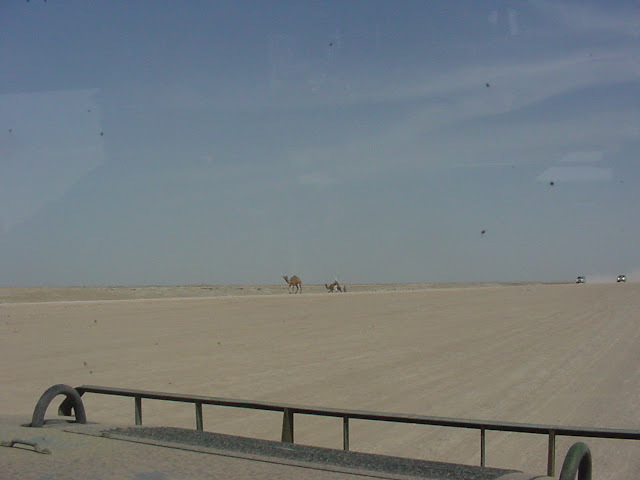 The literally thousands of photographs that I took in Iraq were actually created to make it look as if I had been in Iraq when I had actually been on Mars. The souvenirs I brought home, samples of Iraqi currency, the things I bought in Babylon, the captured Iraqi Army uniforms and so much more were picked up in a huge shop we were required to go through as part of the redeployment home. In there we picked up those things so that we would have something to show for our tours in Iraq. Using a communication system that violated the laws of physics, we were able to make telephone calls home without the long delay for the signal to travel the millions of miles between Mars and Earth. Strange Martian creature moving across a color corrected Martian desert. Photo copyright by Kevin Randle. When we would request something from home, or order things on line, they arrived in a matter of days, showing a complete disregard for the logistics of getting the material from Earth to Mars. Walmart, among others waved the shipping fees for us… which must have been a huge financial loss… unless, of course, they had a warehouse on Mars and you have to wonder how they keep that a secret. Seriously, I don’t know how someone could believe any of this was true. 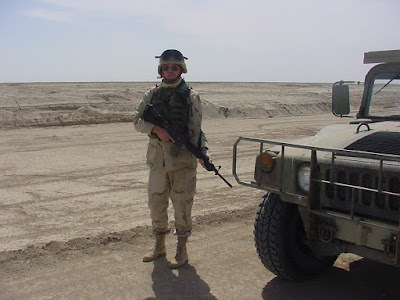 There are some two or three million of us who served in those theaters and there would have to be so much support that it would be impossible to hide. Like my fellow soldiers, I used the Internet to order stuff that was delivered, sometimes in a matter of days. The best thing was when one of the sergeants ordered pizza making equipment and supplies that arrived quickly. Some of the best pizza ever made. Of course, since I must have gone through that “mind wipe” thing, I would have no memory of being on Mars, which is a real shame. I’ll have to ask Arnold Schwarzenegger about that since he might be the source material for these claims. I could go on, but I think I’ll just stop. If some of you wonder why so many reject the idea of alien visitation, this is a very good reason.